Mike received his Bachelor degree in Business Administration from Texas State University in 2005. Following graduation, he began working for an Electrical distributor in San Antonio. Mike was an Inside Sales rep for the first year and half. From inside sales, Mike went on to Outside Sales where he developed and maintained key accounts. Developing and honing his skills for the next 5 years, Mike designed and managed countless unique opportunities for his customers and employer. In September of 2011, Mike founded TMT Solutions, and in 2013 Mike left his Outside Sales job to assume the role of President of TMT Solutions. His career began in 1978 as a Metallutgical Engineer in the extractive metallurgy industries. Working for companies like Signal Oil, Atlantic Richfield and Anaconda Minerals, Tom was responsible for the development of new technologies to improve material handling and processing efficiencies in strategic mineral, coal, and oil and gas operations. By 1990, Tom had moved into high tech manufacturing working for companies like Hughes Aircraft, Texas Industries, Raytheon, and Tyco Electronics. As a Six Sigma Expert, Tom has been responsible for the development of process controls and automation systems in industries including Military Electronics, Avionics, Chemical Processing and Composites Manufacturing. Tom’s education includes a BSE in Metallurgical Engineering and a Master’s degree in Chemical Engineering from the University of Arizona. He also accomplished the six-sigma Black Belt, Expert, and Master’s Certification from institutions, including Motorola University and General Motors. Terrance Sullivan has fifteen years of experience as an automation and controls contractor. He began his career in 2000 after graduating from Northwestern State University with a bachelor’s degree in Electronic Engineering Technology. After two years as a PLC programmer and HMI developer, Terrance was recruited and spent the next 4 years as a project manager. He then spent the following six years as a Project Engineer. Terrance has experience is in the water/wastewater, semiconductor, food & beverage, and oil & gas markets. In 2012, Terrance started full time with TMT Solutions. Byron graduated from Texas Lutheran University in 2001 with a degree in Computer Science. He worked for Motorola for six years as a test technician maintaining in circuit test bays and mobile x-ray cabinets. Byron then started in the automation controls industry as a field technician in 2007 and was promoted to field engineer then project engineer. Having worked in municipal water/wastewater, oil and gas, manufacturing, cement batching, and sand terminal industries gives Byron the skills to fit any customer needs. Richard graduated from James Madison University in 2003 with a Bachelor’s degree in Integrated Science and Technology and a minor in Computer Science, and has been a member of IEEE for fifteen years. Rich spent ten years as a Process Engineer at Electronic Manufacturing Service providers assembling printed Circuit Board Assemblies with 2 of those years working for Plexus in the Silicon Valley before returning to Texas to work for TMT Solutions. Rich has experience with process control from the EMS industry, and he specializes in software development used for process improvement and data collection. After spending his youth traveling around the world as the son of a United States Airforce colonel, Andy settled into university at Texas State in San Marcos, TX. Upon receiving his degree in accounting from Texas State, he was able to contribute early on at a contract design and assembly manufacturing company just months after graduation. He quickly rose to the position of controller and oversaw the entirety of the financial department. With 15 years’ experience in the electrical manufacturing and design arena, he has become a valuable resource to TMT as we look to grow into a global resource for electrical installation, controls, and automation. CJ has five years of experience, fabricating, testing, and troubleshooting control panels. From New Braunfels, Texas, CJ graduated from Seguin ISD in 2008. Afterward, he began working for Thermon Manufacturing Company where he spent the next few years learning about different types of panels, wiring, schematic reading, and electricity in general. CJ began working for TMT Solutions in October of 2014. Here, he assumes responsibilities such as overseeing production, product coordination/management, purchasing, and panel design. Andrew Originates from just outside of Detroit, MI. He attended the University of Michigan where he focused on Anthropology and Economics, while also playing lacrosse for four years. Andrew received his Bachelor of Arts in Cultural Anthropology with a minor in Economics at U of M. Throughout his college career and years following, he worked for an engineering company based out of San Antonio, Texas. There he developed an understanding for Sand Frac Terminals and Cement Blending Plants for numerous major oil and gas corporations, focusing mostly on electrical and pneumatic installation. In 2013, Andrew spent eight months in Northern Alberta assisting in the management of a mine reclamation project of the only vertical mine in Alberta. 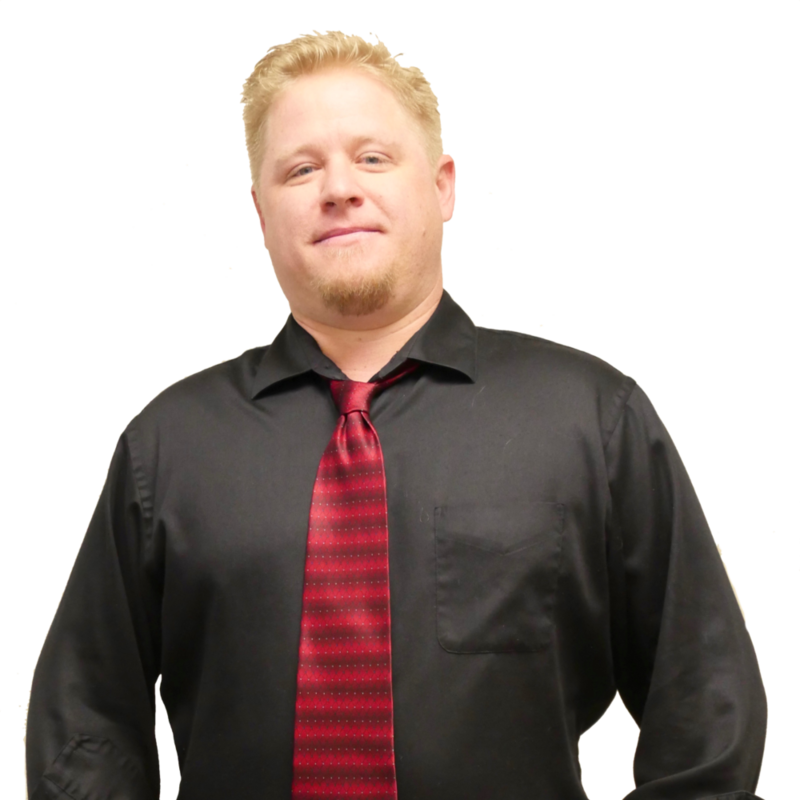 Andrew began working for TMT Solutions, Inc. in the spring of 2014. Here, he performs business development and sales roles, along with product management.